Bicester is a town in the Cherwell district of Oxfordshire. Thirty years ago, the population of Biscester was 17,500; but is now over 30,000. It is expected to double again over the next two decades when a planned 13,000 new homes are built. Bicester has a long history dating all the way back to Saxon times. The name of Bicester, in use since the mid 17th century, is a derivative of the earlier Berncestre, Burcester, Biciter and Bissiter. These days Bicester town centre retains much of its early historical charm with quaint streets and Cotswold stone houses. 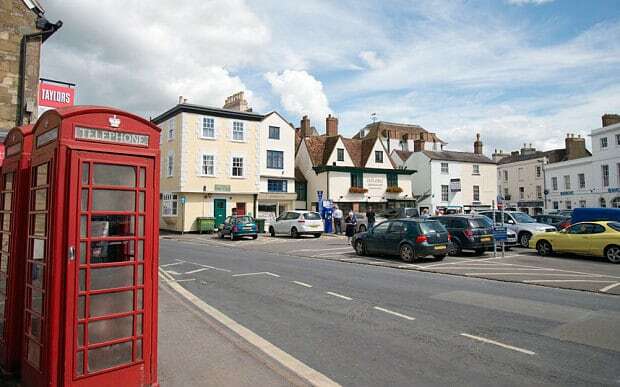 The formerly sleepy market town of Bicester is one of the fastest growing towns in the UK. Biscester was declared a “garden town” in December 2014 and received multi-million funding to construct 13,000 new homes. The expansion will generate 21,500 jobs and a new motorway junction is also planned. A garden town is a town with various self-contained developments, each with their own greenbelt of land, designed to contain balanced zones of residential properties, industry and agriculture. Biscester was favoured for development due to its proximity to junction 9 of the M40 providing a good connection to London, as well as Birmingham and Banbury. It also has decent rail links to Oxford and London with two railway stations – Bicester North and Bicester Village. Bicester Village is home to 130 smart boutiques selling international fashion brands including Burberry, Anya Hindmarch, Dior, Gucci, Versace and Prada. In 2017, 6.6 million guests enjoyed the shopping experience of the village. It is the second most visited location in Britain by tourists from China, second only to Buckingham Palace, and second only to the British Museum for tourism of all nationalities. Visitors can travel by train directly from Marylebone in London in 46 minutes. The outlet village is a highly successful business model that boosts double-digit growth each year since it opened in 1995. While Bicester is experiencing a period of extreme expansion, the original housing stock in the quaint town centre will not increase and is becoming harder to come by. For this reason, as well as wanting to avoid the expense of moving, many Biscester homeowners are opting for a loft conversion when they find themselves in a situation where they need more living space. If you have a growing family or need an extra room in your Biscester home, the most cost-effective and popular way to expand your home is to convert the unused space under the roof. Why Choose Us for Your Biscester Loft Conversion? Touchstone has worked the loft conversion industry in Oxfordshire for almost three decades, and have completed dozens of loft conversions in Biscester. We are different from other companies who offer attic extensions because we focus solely on loft conversions rather than general building projects. Our skilled tradesmen can supply all stages of the conversion, so we do not need to outsource any part of the work which enables us to guarantee a consistently high standard. In some cases, a building permit might be necessary depending on the property and design of the loft. We have extensive experience with Biscester town planning department and can take care of obtaining permits on your behalf. We have dome many conversions in Bicester ranging from basic Velux conversions to large hip to gables, which depending on the square feet available can add more than one room to the property. Even the most basic loft conversion will increase the value of your property, giving you a very good return on investment. Contact us today and we arrange a time at your convenience to survey your loft and give you a free quote. We take time to find out what you want to achieve from your loft conversion, so we are sure we create a dream extension that meets all your expectations. Call us on 0800 881 8194 or fill out the contact form and we will get back to you shortly.